As I began to notice all of the “things” we have collected as gifts, I began suggesting trips to my children as presents. It began with me asking JD would you rather have xyz, that you will play with for a short time and then I will give away or do you prefer a trip where we can learn about the culture, make family memories and go on adventures? Since then both JD and Gia Amelia have decided traveling and exploring as a family is a gift that will last a lifetime. 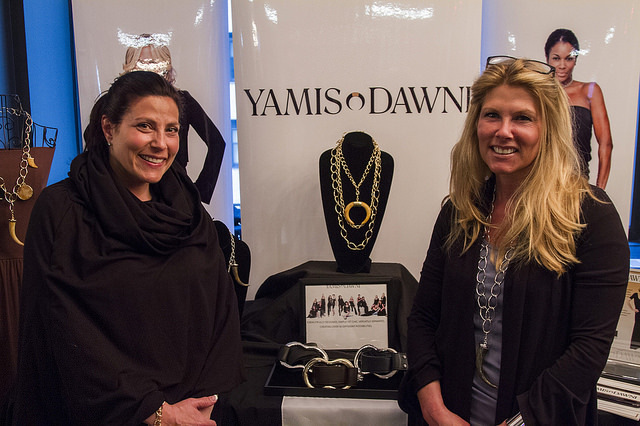 I attended the Mom Trends Travel event, a once a year look on the hottest travel trends. Nicole and her team shared some of their own travel stories and encouraged each of us to visit new destinations and create global citizens. be in our play room while my kids play and create their own adventures. I envision JD and Gia asking questions about each different country and taking an interest in the different cultures, and play pretend before they eventually visit each one. Murals Wallpaper also creates customizable deigns including landscapes which can alter any little ones room into an adventure. Momtrends founder, Nicole kicked off the festivities by sharing her own personal story of why it was so important to her to gift her little one the gift of travel by obtaining a passport at a very young age. I have to agree, both of my children received their passports before they were 2, and have more stamps than I did when I was 25! For those of you who are not ready to jump on board and venture away from home, adventures can still be yours. Pitching a tent for a backyard campsite has never been so easy and adorable thanks to a cute bear-print tent from Sprout and a faux s’mores station and sleeping bag from Land of Nod. Of course don’t forget the Guardian bug repellant DEET-free Guardian insect repellant helps to protect you and your family against mosquitoes and ticks with a safe plant-based formula that’s proven to work for four or more hours. OMG! This innovative snack should come with a warning label that reads BUY MORE THAN ONE OR YOU WILL REGRET IT! We sampled on a variety and took home a few bags, ok maybe I hid a bag or two in my car for when I am alone?! 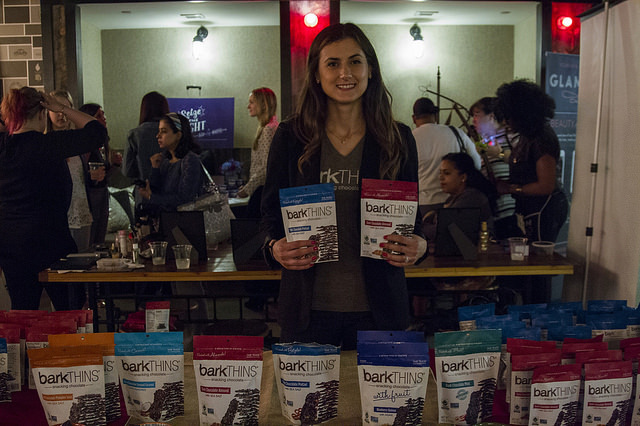 barkTHINS are available in a variety of flavors, each blended with dark chocolate, and then you have a choice of nuts, seeds, fruits, pretzels, and sea salt. barkTHINS are delicious and the perfect size for a in-flight snack, road-trip, or camping adventure, whichever your preference. Sadly the days are gone since I travel routinely with teeny tiny littles, however on occasion I do indulge in a niece or nephew sleep over. As I recall from my own littles it wasn’t easy at all, traveling usually meant filling the trunk with all kinds of huge contraptions that usually took the fun out of the trip before take off. 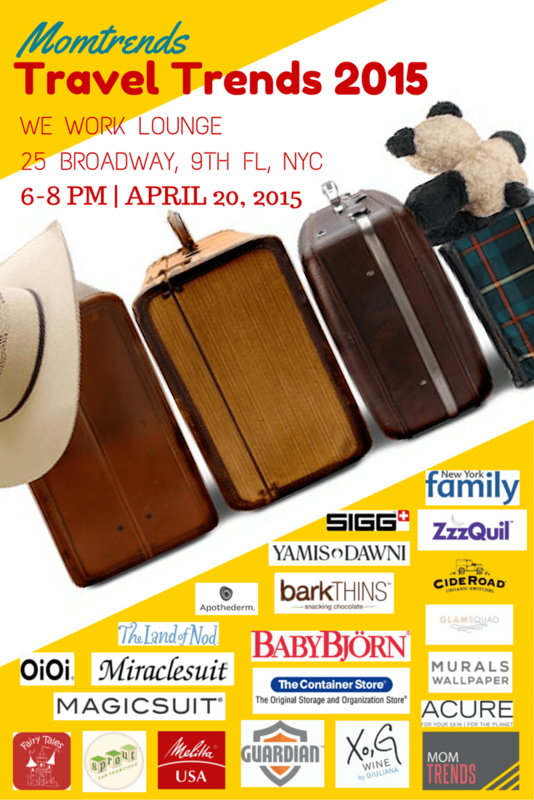 Baby Bjorn is a game changer in travel essentials for moms/dads with babies/toddlers. a new generation carrier that is soft and breathable, but also sturdy and reliable. Whether you’re wearing your infant on a flight, running errands, or touring around town, this mommy must-have lightens the load and frees up your hands. Baby Bjorn is sure to keep your little comfy and ready to travel with no hassle to taking every essential necessary along to do so. You can quote me when I say ” I feel more comfortable in my Miracelsuit than I do in my regular clothes!” Moms that speaks volumes, because we all know as a mom who hasn’t lost the baby weight the thought of a bathing suit is frightening and can bring most to tears. This magical collection provides the three C’s one should think of when shopping for a bathing suit Control, Comfort and Confidence. Miraclesuit offers flattering, functional, and fashionable styles that are slimming, versatile, and chic. 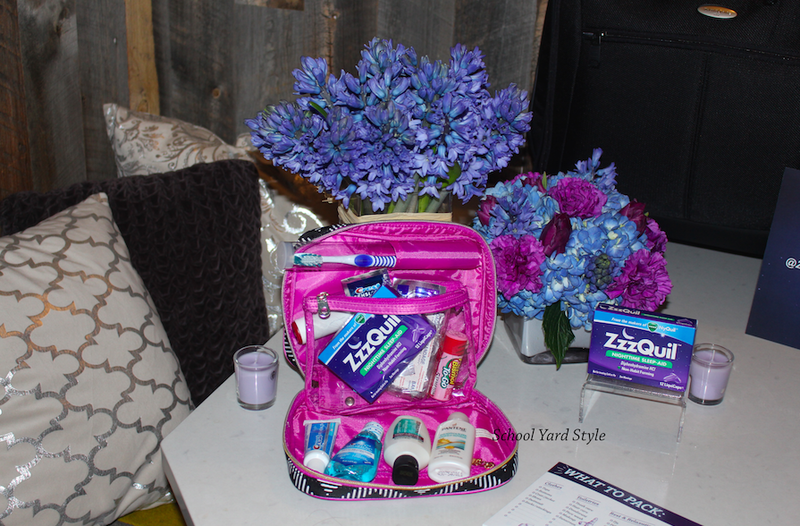 For most it is difficult to sleep in a unfamiliar place, especially after a day of travel, time changes etc, packing ZzzQuil in your toiletry bag will ensure a good nights sleep. ZzzQuil will allow you the sleep you need and help you feel fresh and ready to tackle the adventure that lies ahead of you. Of course we always want to look our best, however a hectic schedule…. life in general can sometimes prevent us from traveling to a salon, for that blowout, make up application, or other beauty treatments. GLAMsquad is here to prevent us from sacrificing our beauty treatments. GLAMsqaud offers incredible services wherever you want them, stylists are available to arrive at your hotel, office or apartment. Simply download the app, services begin at $50. The GLAMSquad stylists were also on hand to demonstrate a few glamorous travel makeup and hair tips. 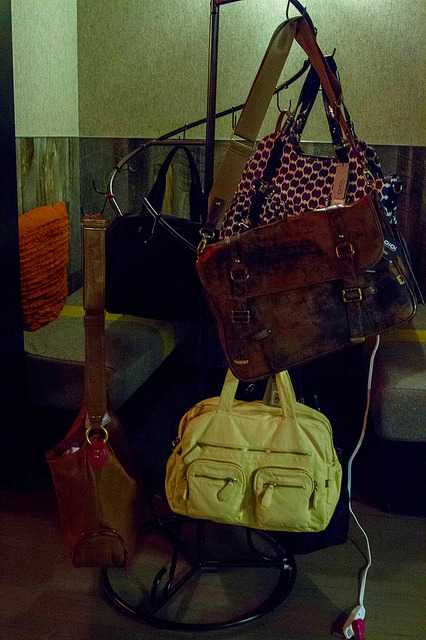 For the mom that is still carrying a diaper bag, go ahead and ditch the old fashion bag, for something trendier. OiOi Baby bags are perfect travel bag for families with little ones that require items readily available at all times. 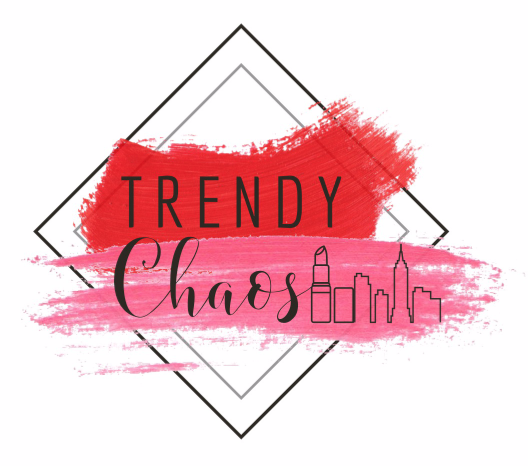 Thank you to Nicole and the Momtrends team for inviting us, and sharing your trendy travel must haves with us. We were not compensated for this post, and all opinions expressed are our own. Comment below which trendy travel must have, you would love to add to your next adventure with your family. Ah looks like such a fun conference. I sadly dont need any sleeping aids when I travel. Being away from home ironically relaxes me. And Yay for Miracle suit! I have one that makes me look like a million bucks. Who knew a swimsuit could be that powerful? I love to travel. It is a passion of mine. I still can’t get over the bark items being for people. Everytime I think bark, I think of my dog. I have three of them. This is the second blog I seen with abark item in it. They must have really good products . As I have not heard anything bad about them yet. I need that miracle suit badly because this body needs a miracle. I can always use a good purse too. It looks like you had a really great time with the Momtrends team and I love all of the photos and products. I use zzzzQuill as well and it helps relax me. I want that miracle suit or at least one that would fit me lol. I’ll have to check them out asap. 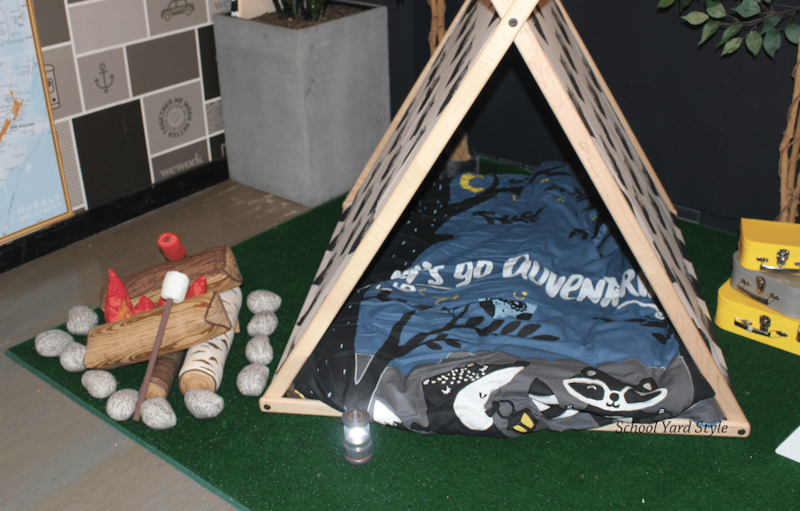 I am a HUGE Land of Nod fan and love their little camping set. My boys and I use it a ton when preparing for camping. The barkThins look delish, too! I agree, Bark Thins should totally have a table warning on them!! ADDICTION will occur! Those things are absolutely delicious! I love to travel but don’t get to very often. These are some great must haves. I just don’t agree with baby bjorn. (not ergonomic) but everything else I would say yes! I’ve never heard of zzzquil before, sounds pretty interesting. I’ve always had troubles falling asleep away from home so it would probably be pretty useful to me!